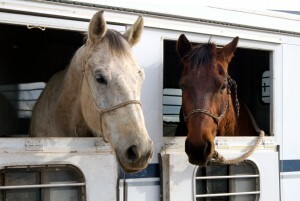 Do you have large animals, such as horses or livestock? If you do, you already know that it can be very difficult to care for these animals, even in the best of times. When you’re facing a disaster, things can become even harder. These animals prove more difficult to board than a dog, cat or a parakeet. Take the time to create a disaster plan that will help you ensure the safety of all of your large animals. With a little planning, you’ll know exactly what to do. Everyone in the family should know the evacuation plan for the animals, since you might not be home when disaster strikes. Make sure you have a plan in place that accounts for animals in the barns and any other outlying buildings. Additionally, consider talking to your neighbors and sharing your plans. You can help one another in an emergency, which can increase the likelihood that all of your animals will survive. It’s important that your animals – horses in particular – understand how to load into a trailer. If they’ve never loaded before, it will be impossible to get them to do it in a disaster. Practice getting them in and off trailers so it is second nature for them and for you when the time comes. This is not too difficult with most horses, but some other type of livestock could have issues. Practicing early and often is a good option. Give yourself more than enough time to load should you actually need to evacuate. 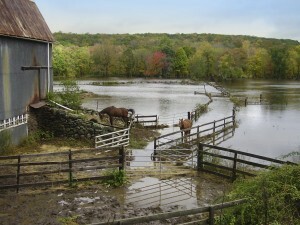 Your animals need to eat and have clean water in a disaster. This is true whether you are sheltering in place or evacuating. Your disaster kit should include feed, water and any extra gear that you might need such as blankets, leads, halters, etc. Have a first aid kit specifically for your large animals. Many facilities will have emergency specific halters in place as well. Fire halters can be purchased in the event of a fire that can be quickly put on. Halters with name plates or embroidered identification are also wise. For horses, ensure that you use safety halters with leather so they can quickly break if the horse gets caught up or tries to pull back and flee. Make sure you have photos and copies of papers for all of your animals. Tagged animals with chips is another option. Some animals might panic during a disaster and flee. If you have identification information available, then it will be easier for you to claim them later. Have records of chips, tattoos, brands, etc. Save copies of your registration papers, Coggins and other health documents. If you do need to evacuate your home,you need to know where to go. Have a Plan A, B and C for your evacuation destination. Make sure those locations can hold your animals. In some cases, a local humane organization can provide you with locations where you can temporarily board your animals in the event you don’t have another place you can keep them. Make sure you get in touch with this organization before a disaster so you know where your animals could go. It does take some planning for a disaster when you have large animals, in addition to the rest of your family. 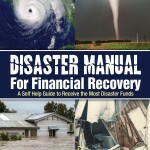 However, by creating a good and workable plan now, it will be much easier if an actual disaster strikes. Start by putting your plan in place now.